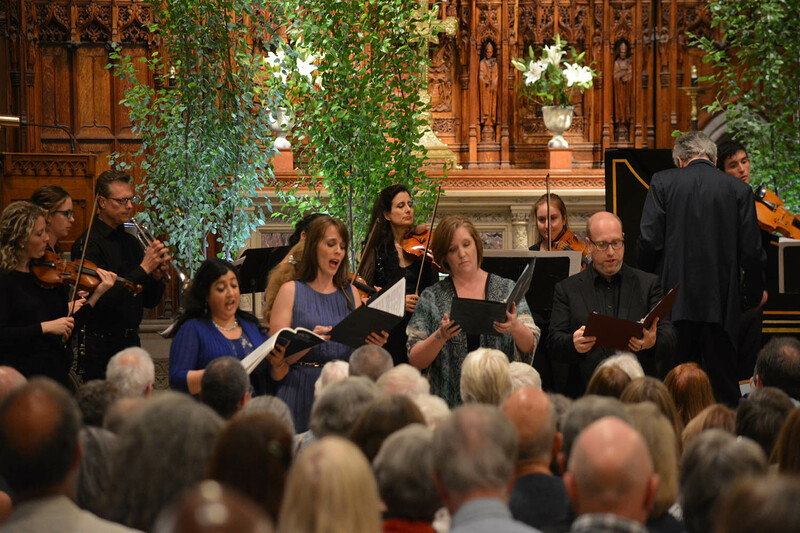 In the summer of 2018, Portland was reacquainted with one of its own: soprano Elisabeth Marshall, a member of the Bach Virtuosi Festival Choral Ensemble. With seven immensely talented singers, Elisabeth contributed to the Bach Motet "Komm, Jesu, Komm" BWV 227 and Cantata "Wachet! betet! betet! wachet! BWV 70. We spoke with Elisabeth about the 2019 festival, how she got started, where she has traveled since she last performed on the St. Luke's Cathedral stage, and some of her favorite places in Maine to visit. Bach Virtuosi Festival: You are from the Portland area. Where did you grow up and go to school? It must be extra special every time you are able to perform in Portland and see friends and family? Elisabeth Marshall: I grew up in Windham, just west of Portland, and attended Windham High School, where I was a member of the Windham Chamber Singers, with whom I traveled to Vienna, Austria in 1996 and won the International Youth & Music Festival! We had lots of incredible experiences: singing at the White House for President Clinton; appearing on NBC Nightly News with General Norman Schwartzkopf, performing with the Portland Symphony Orchestra, and more. It was in high school that I had my first classical solo, Mozart's Laudate Dominum, which made me instantly fall in love with Mozart and classical music in general, and I went on to pursue singing lessons and a music degree at the USM School of Music. It's always incredibly special to come home and sing; I see many familiar and friendly faces in the audiences, and it's especially wonderful for my family to be able to see me perform. BVF: What are your favorite activities to do when you are in Portland? EM: I absolutely love Portland's amazing restaurant scene! Tragically, I developed a shellfish allergy several years ago, but thankfully there is still plenty of fresh fish I can eat downtown and I love to. Eventide is one of my go-to spots and I just have to bring out-of-town friends there for their famous lobster roll (while I look on with envy), or DuckFat for their famous fries. I also really like to meet friends at Bramhall, where the atmosphere is great for catching up, or in nice weather to sit out on the deck at Liquid Riot. When it's rainy, I enjoy going to the King's Head. There are just so many great places to choose from! BVF: Where do you reside during the year and do you travel or go on tour? EM: In 2017, I was appointed Assistant Professor of Performance Studies in Voice at the Ithaca College School of Music. I live in Ithaca, NY now, but still regularly travel to Boston, New York City, Portland, and elsewhere for solo and ensemble concert engagements. BVF: This June, the Bach Virtuosi Festival Vocal Ensemble will once again include Sherezade Panthaki, Jay Carter, and Brian Giebler. Last summer’s Vocal Ensemble was extremely well-received and the vocal works were some of the highlights of the Bach Virtuosi Festival. Share your thoughts on performing with these talented singers once again? EM: Our music profession is such a wonderfully small world! I've sung with Brian Giebler at the Oregon Bach Festival, and also Sherry was there as soloist one year too. We have several mutual friends. Jay and I have performed together in various ensembles across the country. Last year's Vocal Ensemble was comprised of incredible singers. I've sung in ensembles with many of them, and have heard and admired their work as soloists too! I'm delighted to rejoin this summer’s BVF Vocal Ensemble again this year! BVF: The Vocal Ensemble will be performing two challenging sacred pieces by Bach: the motet, Singet dem Herrn, BWV 225, and the cantata, Wir danken dir, Gott, BWV 29. Discuss these pieces and singing them with the Ensemble at the Bach Virtuosi Festival? EM: These pieces are iconic Bach! Personally, I love exploring Bach's self-borrowing. One example is the opening chorus of BWV 29 with the theme of B minor Mass Gratias and Dona nobis pacem because the ideas often connect thematically, not just musically. In this case, the obvious connection of gratitude in Wir danken dir Gott and Gratias, but it also connects to the second chorus with the same musical material in the B minor Mass and Dona nobis pacem in that gratitude often brings us to peace. So for me, singing one or the other makes me think of the other, and I experience not just glorious music, but also both gratitude and peace. BVF: Tell us about a couple performances and/or tours that you had this past fall and what you have on the horizon in 2019? EM: I've been really busy with the Handel & Haydn Society this year, and just finished a run of performances of a Purcell concert, including the Ode to St. Cecilia and a semi-staged version of Dido and Aeneas, which we performed in Boston and at the Temple of Dendur at the Metropolitan Museum of Art in New York. I was also the soprano soloist for the Portland Symphony Orchestra's 2018 “Magic of Christmas” concerts. I'm also a frequent artist with the Brooklyn Art Song Society, with whom I performed this year in New York City and in a collaborative residency which I organized with Libby Larsen here at the Ithaca College School of Music. Next year, I'll make my debut with the Cincinnati Song Initiative in a program of South American art song, and also continue my work with Brooklyn Art Song Society and Handel & Haydn Society. 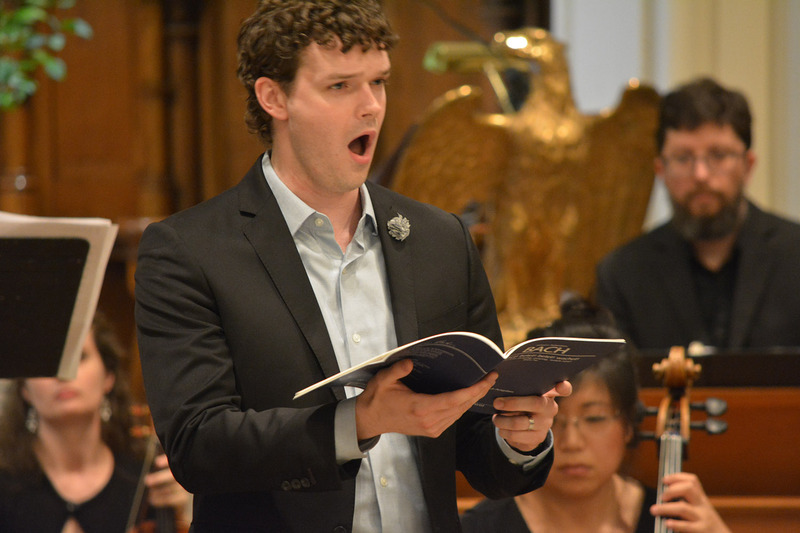 BVF: What sparked your interest in classical music, particularly baroque and when did you begin singing? EM: I studied in Leipzig, Germany on a Fulbright grant, thinking at the time that I was going to study opera trends in Germany. However, being in Leipzig for a year, of course I attended services and concerts at the Thomaskirche, and that year I also began singing with Helmuth Rilling in the Internationale Bachakademie in Stuttgart. Sadly, my time in Leipzig ended with the grant, but my love of baroque music had only just begun! I'm so thankful for all the experiences and wonderful music I'm able to sing with so many incredible ensembles and colleagues.